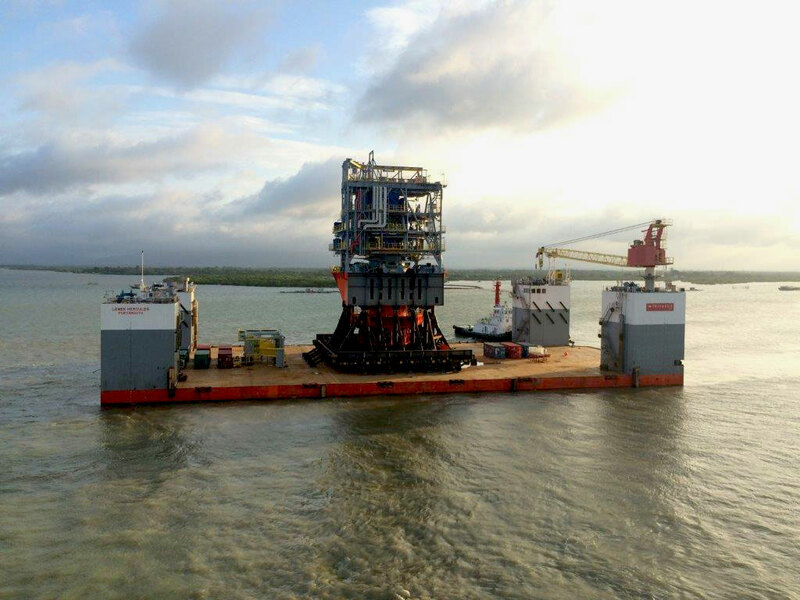 With the fabrication of the FPSO Pioneiro de Libra external cantilever Turret completed at Triyards SOFEL fabrication yard late last week, the Turret was successfully loaded out on to the transport barge on Saturday 6th August 2016. The load out is understood to be one of the largest in Vietnam to date, at almost 3000te for the Turret and supporting structures. The transport barge is due to sailaway from Vietnam on the 10th August 2016 with arrival expected at the Tuas yard of Jurong Shipyard Pte Ltd (JSPL) on 16th August, ready for integration on to the turret rigid arm structure at the bow of the FPSO. Turret integration and commissioning works are expected to carry on at JSPL over the remainder of 2016.